You probably do not bring a stopwatch with you when you visit your doctor, but if you did, you may be unpleasantly surprised by the lack of time your doctor spends with you. The traditional healthcare experience is one you know all too well. It’s become more of a revolving door or assembly line system where physicians are simply seeing as many patients as possible during their day. This leads to some serious problems. How can a provider who spends less than 16 minutes with you understand what is going on with your health? We’re so used to this form of healthcare that we’ve come to just accept it for what it is. It’s just part of the process, right? Wrong. There is another way. And it’s known as concierge medicine. Concierge medicine is a major gamechanger for you as a patient. 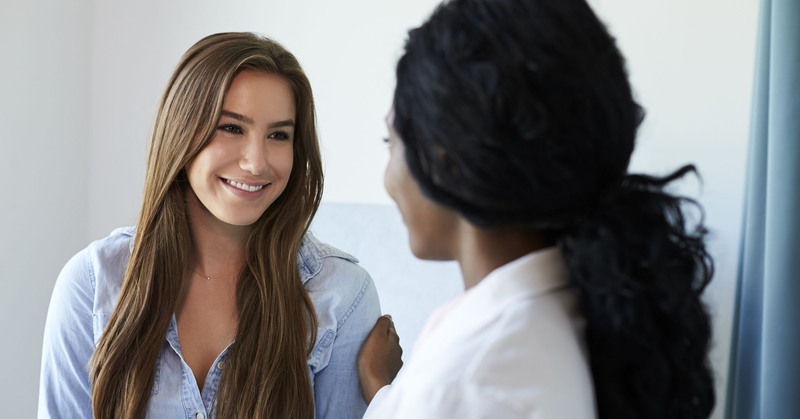 Rather than a healthcare system that consists of a quick eight-minute meeting with your physician, concierge medicine is built upon a close, personal relationship between patients and physicians. With concierge medicine, you pay an annual fee that guarantees 24/7 access to your physician and their office. This is such an amazing bonus in the age of scheduling appointments months out or dealing with long waiting room times. With a more recent shortage in doctors, concierge medicine is gaining popularity around the United States with physicians. In fact, a 2014 survey of more than 20,000 physicians conducted by The Physicians Foundation discovered that more than 20% of physicians today say they are turning to concierge medicine to guarantee the best service for their patients. They are intimately aware of the flaws in the traditional approach, and realize the many benefits patients get with concierge medicine. Are you exploring alternative healthcare options for yourself and your family? Are you interested in learning more about concierge medicine and it’s patient benefits? Let us jump right in. Think about when you make an appointment with your doctor. Typically, you are making an appointment if you are sick or need a prescription refill, and you have to make that appointment weeks in advance. But, why bother paying a copay and going through the annoyance of scheduling an appointment weeks in advance when there is a better solution? Concierge medicine doctors have fewer patients, so they are able to see their patients more often and for higher quality appointments. Concierge medicine enhances patient interaction - for every interaction. A study done by Johns Hopkins Medicine found that new doctors are spending as little as 12% of their time with patients. In some of those cases, it works out to be just eight minutes with a patient! With such a tight timeframe for you, getting to the root of a condition or symptom is nearly impossible. The Concierge Difference Concierge doctors can spend more time with you. This increased time helps to form and strengthen solid patient relationships. Since they want to provide you with personalized, accessible and dependable care, concierge medicine doctors have only hundreds of patients at any given time, while traditional doctors see thousands. It is easier to develop an understanding of each patient’s issues and medical history when doctors are dealing with a smaller number of people and spending more quality time with each of them. Physicians can build better relationships and ultimately provide better, more personalized care as they truly become integrated in their your entire spectrum of care and their lives. When doctors can spend more time with you, they are able to focus more of their recommendations and care plans on prevention. Traditional doctors are so time strapped, they are bound to focus on the current issues and work to resolve them as quickly as possible. In addition, with general medical care, if you have an infection or something that needs immediate medical attention, you must accept care from an urgent care facility or emergency department. The problem with this is that these places are designed to handle immediate issues—they do not look for underlying causes, or have the time. Their main goal is to stabilize and get you out. They also do not know your entire medical or personal history as well as your primary provider should, and may make recommendations that do not align best with your holistic plan of care. The Concierge Difference Concierge doctors can take their time to look at your entire health history to help patients identify and diagnose any issues. Concierge doctors are generally available to speak with you whenever necessary. When you receive better preventative care, you will spend less money overall and be in better health. Concierge medicine is the best way to ensure that your doctor can continue to treat you in a timely manner. At LifeScape Premier, our doctors will never drop you or be too busy for your appointment. They’re available to answer health questions and most guarantee same or next-day appointments. You will never feel rushed or like just a number. We have time to develop individual patient goals together, and time to focus on overall health and wellness for you and your family. The most important thing to consider when selecting a healthcare system that is right for you, is the outcomes of care. The ultimate goal of your health care should be to live a healthy, happier and longer life. Just saying the words “concierge medicine” may make you think of some kind of extravagant medical care reserved only for the rich and famous. But that is not the case. Since a concierge doctor can focus on fewer patients than a traditional physician, they have better insight into each patient’s health and can really concentrate on preventative care. Because traditional doctors do not have a lot of time to spend with patients, they may have to order more procedures and tests to get to the diagnosis. Of course these additional treatments increase your costs. The Concierge Difference With concierge medicine, you are typically paying an annual fee to cover all additional benefits, including 24/7 hour access to your provider, text messaging services, same day appointments and more, but you are also saving money and time in the long-term on unnecessary testing, specialty visits or back and forth with your provider. Concierge providers work tirelessly to quickly get to the root of your condition to treat the true cause of your symptoms, discomfort or pain. With these benefits in mind, we understand that concierge medicine still may not be the best fit for everyone. But if you want more time with your doctor and embrace the idea of working together towards a path of ideal health and vitality, the value that concierge medicine brings may be well worth your while. Concierge medicine is taking the healthcare industry by storm, and we are proud to be at the forefront of this in Arizona. At LifeScape Premier, we firmly believe that concierge medicine is the most accessible, dependable option for our clients. If you are ready to explore concierge medicine for yourself and your family, contact us today. Our Director of Practice Development, Alicia Fortune, will schedule a time for you to meet our providers. We hope to see you in our office soon.